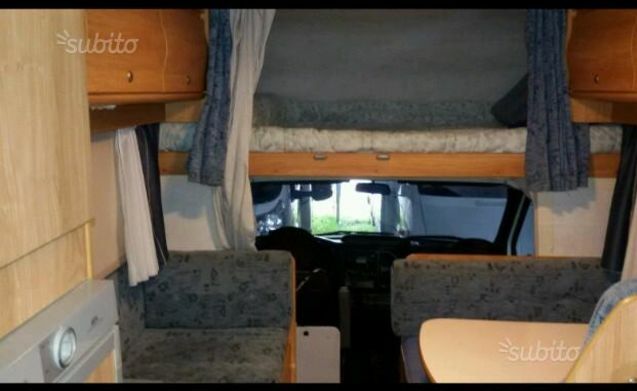 Our camper is ideal for a family or for a group of friends. 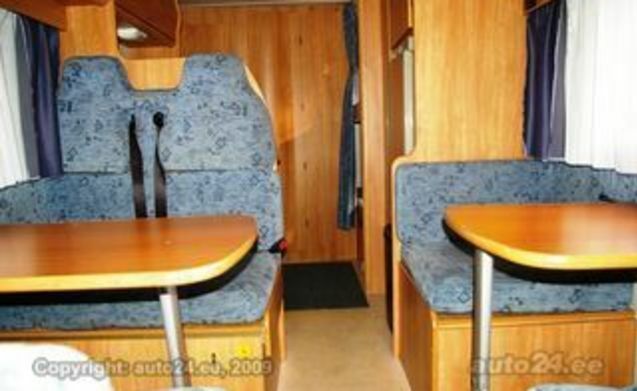 If you are 5, do not have to disassemble the dinette every night because the double bed and three beds are ready. 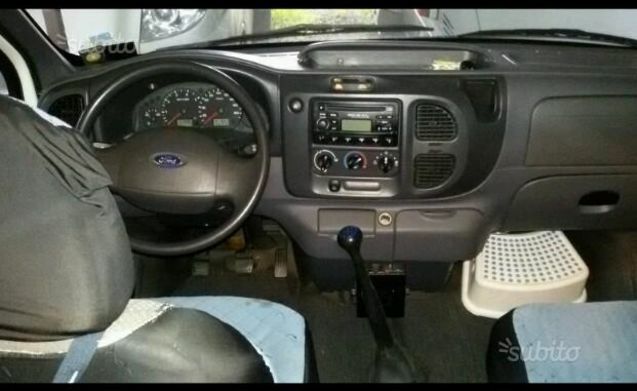 Alternatively, disassembling the dinette you will have another double available for a total of 7 seats. If you are in 4 you can turn one of the beds into another smaller dinette and have two tables on board (as you can see in the last picture). 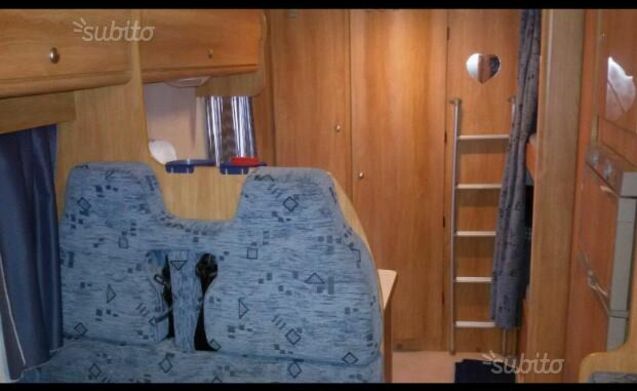 The camper has two closets, one with shelves and one with a hanging rail. The bathroom is also comfortable, with a separate shower. 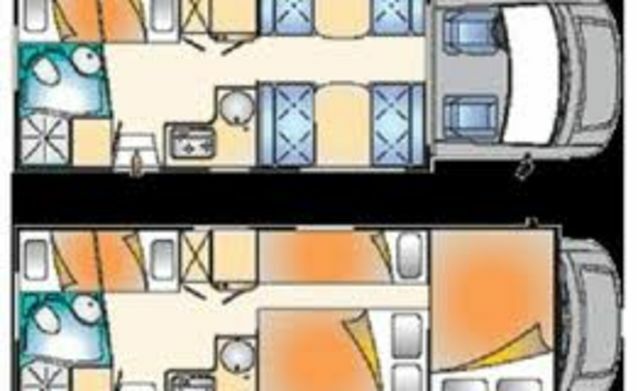 The camper has the gas stove, the water heater, the double water tank and the inverter (useful for charging mobile phones or otherwise even with the engine off). The cabin is air-conditioned (so only with the engine running). 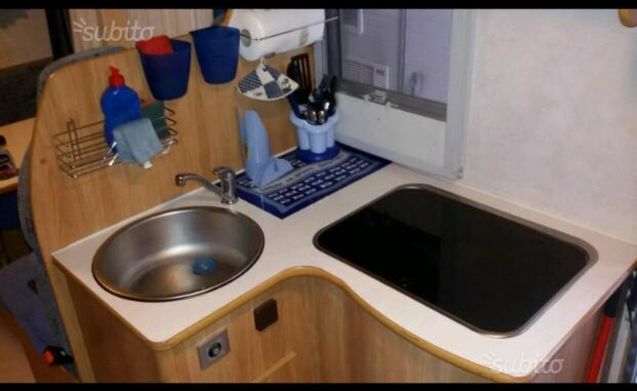 The camper also has a 4-seater bike rack (on request, we can also consider the rental of bikes), a locker where you will find a table and chairs for camping. 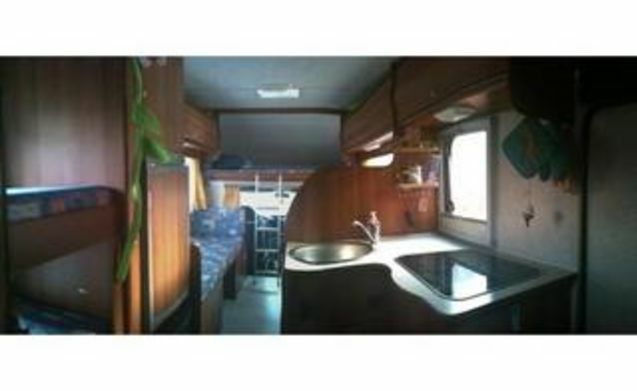 The camper is also equipped with an extensible awning, and you will also find an umbrella to take to the sea. The kitchen is comfortable (3 burners) and the fridge is large, with a separate freezer. 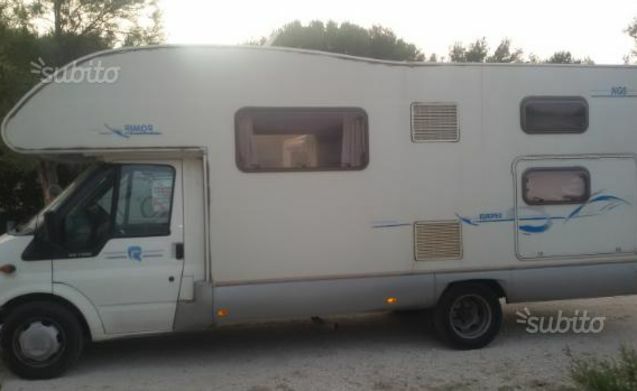 The camper is rented with pans, cutlery and also various accessories such as wire to roll out and everything that can be useful for small maintenance, cleaning and laundry. Linen is available on request. 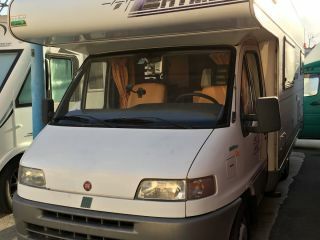 Our camper has accompanied us on many trips around Europe and now that we also want to go abroad, maybe it will be useful to you for a ride in our beautiful Sicily. On board you will find many guides and suggestions on itineraries and destinations to visit. The camper is our holiday home and we will continue to use it too. We just want to share it during periods of inactivity. Please treat it with the utmost care!